The plane body is 7 and 5/8ths inches long and 2 and 1/16th inches wide. The plane body’s configuration is very similar to that of the #110 Type 3. 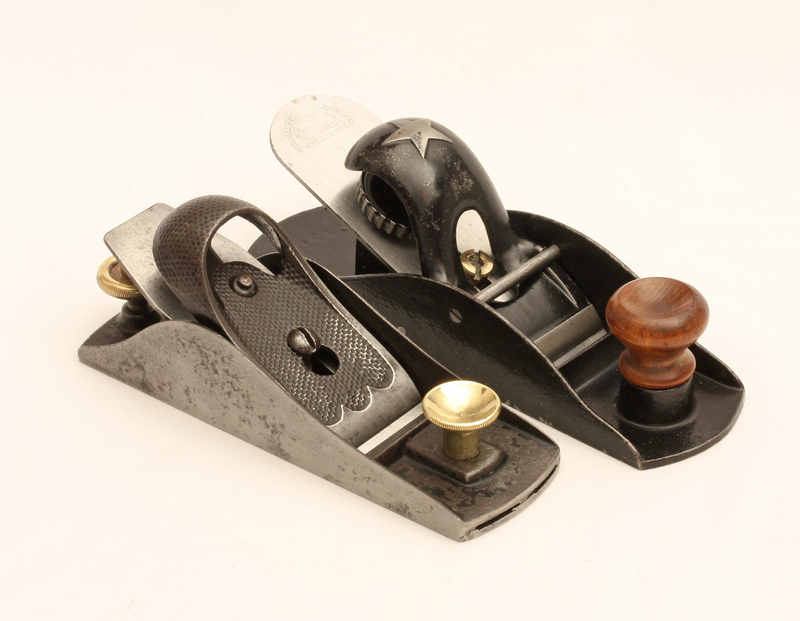 [iii] However, it lacks the reinforced handrails on the side walls and the raised lug at the heel of the plane seen in #110 Stanley block planes of a similar vintage. 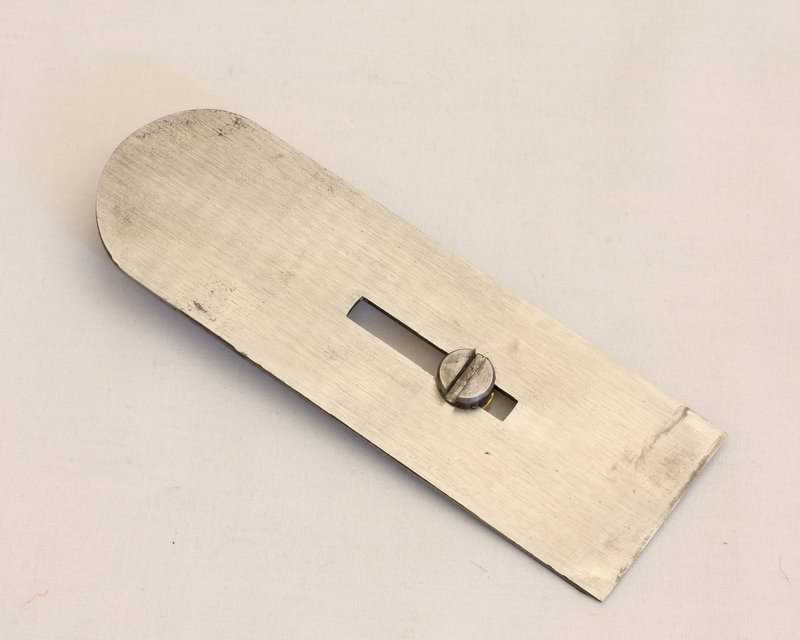 The front knob is turned fruit wood and is friction fit into the cylindrical raised receiver on the toe of the plane. 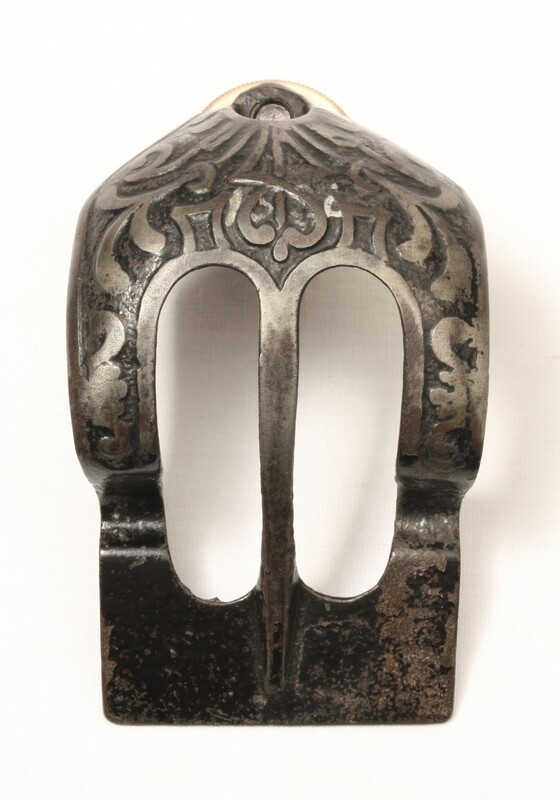 The shoe buckle lever cap with its two piece lever cap adjusting screw helps to date the plane to late 1875. The slotted cutter has no trademark stamp. A machine screw has been filed to a square head with a slot that is designed to fit over the raised nib on the bronze portion of the cutter adjustment mechanism (See Figure 3 and Figure 4). This screw is held in position in the slotted cutter with a hexagonal nut. The location of this screw and nut in the slot can be changed to accommodate repeated sharpening of the cutter (See Figure 5). The triangular cutter support ribs hold the cutter at about a 16-degree cutting angle (See Figure 8). Only the interior of the plane body is japanned. One of the most appealing features of this Model Shop plane is the evidence that this plane was a “work in progress”. 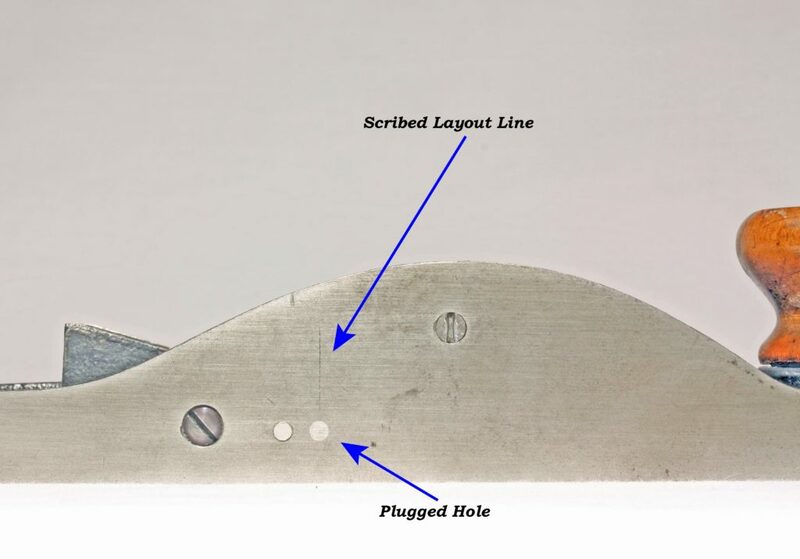 On the right sidewall of the plane where there is a layout line scribed just above a plug that has been placed in the casting where a hole had been initially drilled (See Figure 6), and file marks are present on the adjusting lever and other parts of the cutter adjusting mechanism providing evidence to all the hand work that went into making this Model Shop prototype. Traut and Richards submitted a patent application on December 27, 1875 for the compound lever cutter adjustment mechanism seen on this plane. They were granted patent #176,152, on April 18, 1876, for a “…device for holding and adjusting the cutting iron.”[iv] However, the patent drawings don’t show a block plane but instead show a bench plane utilizing this compound lever cutter adjustment mechanism. In my next blog post I’ll tell you how this patented cutter adjustment mechanism came to be used on the “Liberty Bell” series of bench planes, but for now let’s get back to what was to become Stanley’s #120 adjustable block plane. 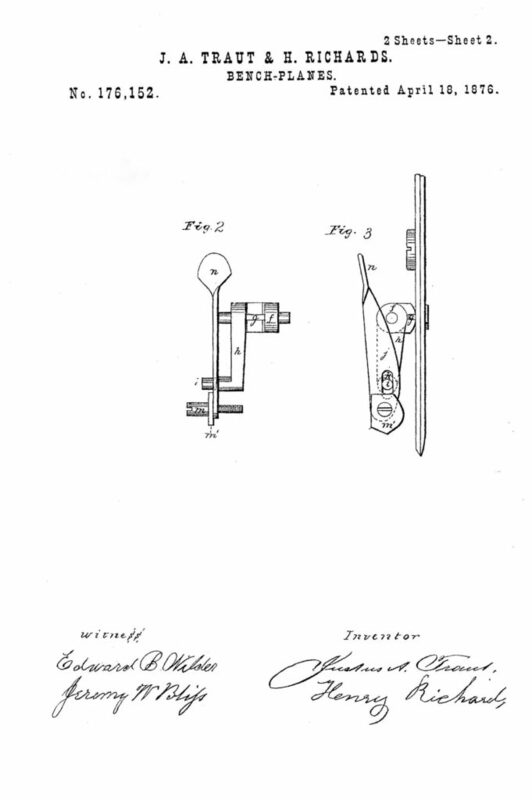 Figure 7 shows one of the patent drawings for this patent showing the compound lever cutter adjustment mechanism. 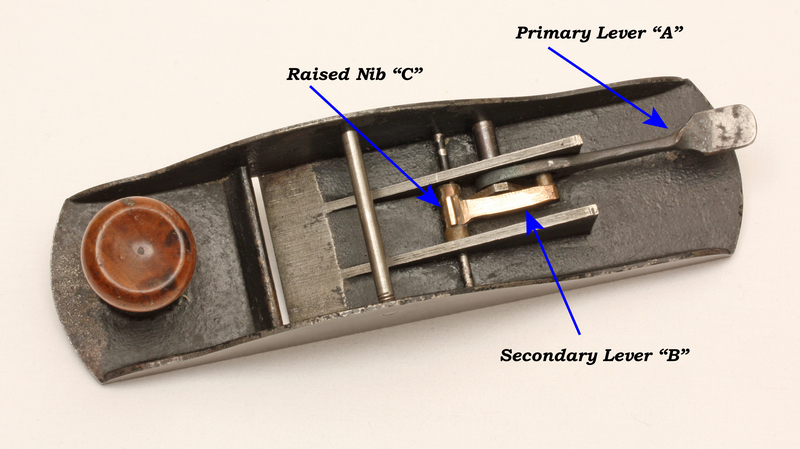 While not identical to the patent drawing, the compound lever mechanism on this Model Shop block plane operates using the same principle but with a modification of the location of the fulcrum points of the levers compared to what is shown in the patent drawings (See Figure 8). The mechanism consists of two interconnected levers, “A” and “B”. Lever “A”, the primary lever, moves through an arc of 1¾ inches from its bottom most position to its top most position, while the raised nib “C” on the secondary lever “B” simultaneously moves through an arc of only 1/16th of an inch. This 28:1 difference in motion means that a ¼ inch movement of the primary adjusting lever “A” results in the cutter moving only 9 thousandths of an inch. This creates a very sensitive cutter adjustment mechanism . 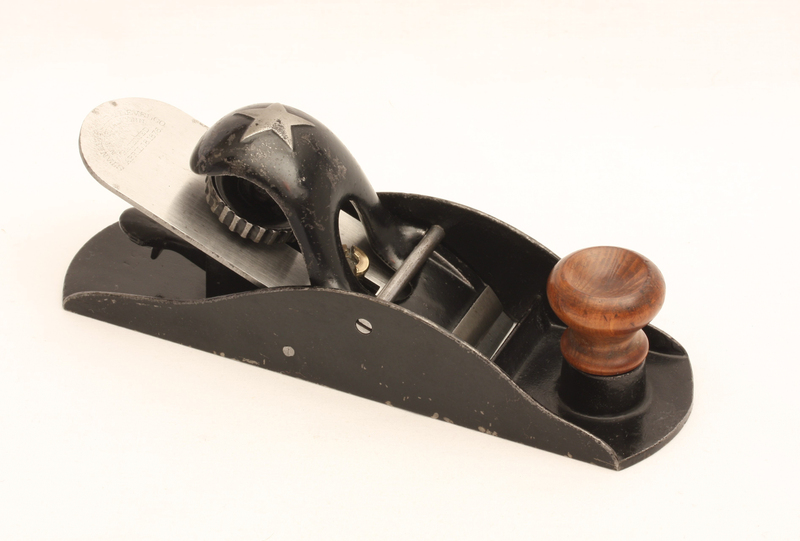 With a few minor modifications, this plane became the Stanley #120 adjustable block plane and was first offered for sale by Stanley in 1876. The first production model of the #120 Stanley Block plane is shown in Figure 9. There are differences between the Model Shop prototype and the first production model of the #120 adjustable block plane. Most notable are modifications made to the cutter adjustment mechanism. Figure 10 illustrates the changes made to that compound lever cutter adjustment mechanism. 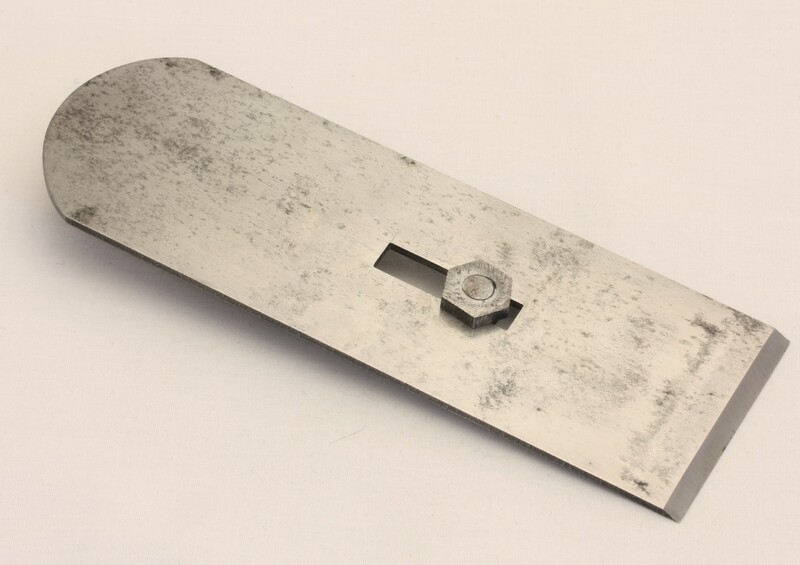 The compound lever cutter adjustment mechanism was modified to reduce the number of parts and make production easier. 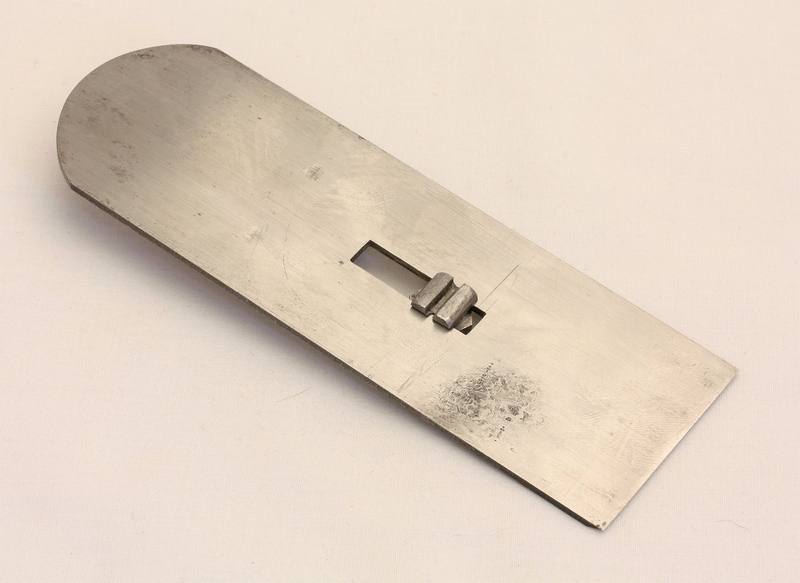 The end of the primary adjustment lever “A” was redesigned to fit into a socket in a short cross rib that was part of the plane’s body casting. [v] The primary lever “A” is connected to a short shaft on lever “B”. 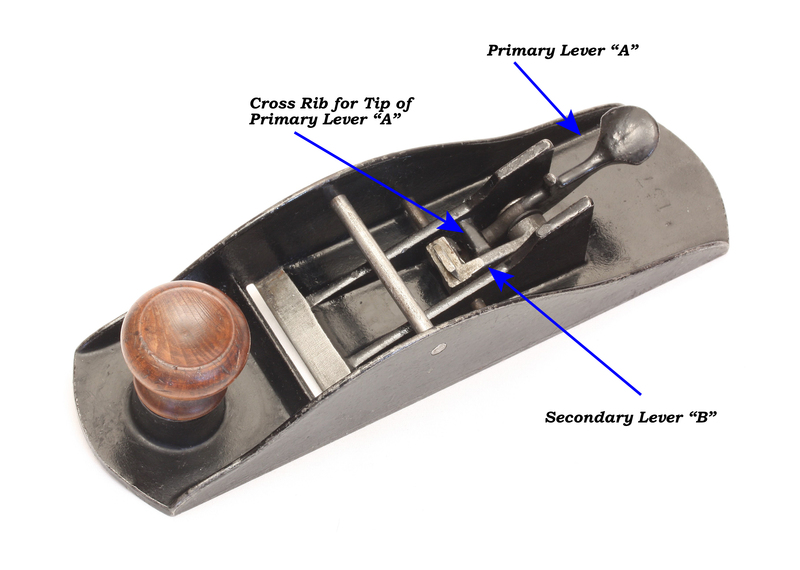 Lever “A” and lever “B” would be assembled first and then the compound lever would have been inserted into the plane body and supported on a pin that enters through the right sidewall of the plane and projects through both of the cutter support brackets. 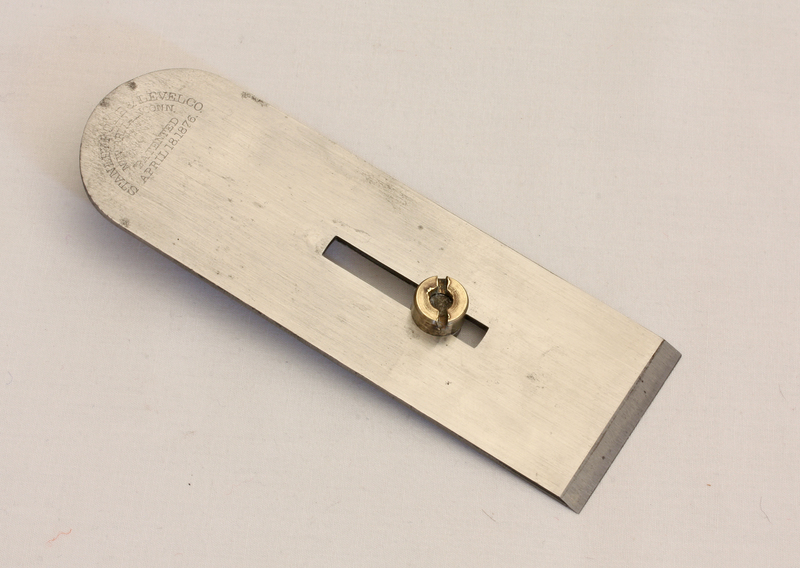 The cutter adjustment lever “A” is shorter than the one seen on the Model Shop prototype and the cutter support ribs have been modified slightly and the angle changed so that the cutter is now bedded at about a 23 degree angle as opposed to the 16 degree angle seen on the Model Shop prototype. The plane is 7 and ¼ inches long, 3/8ths of an inch shorter than the prototype plane. The interior and exterior of the plane body are japanned except for the sole of the plane. 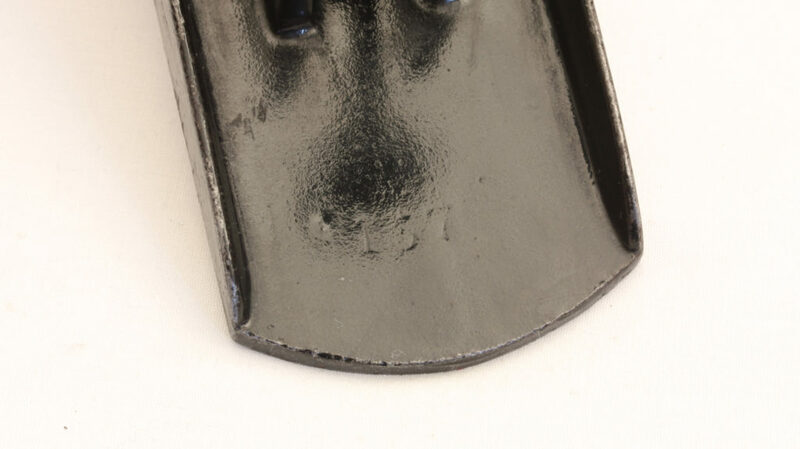 The number “157” is stamped in the casting near the heel of the plane (See Figure 11). The toe of the plane has the raised cast cylindrical receiver similar to the one seen on the prototype. It is ½ inch tall and 13/16ths of an inch in diameter. The turned fruit wood front knob is again friction fit into this receiver. 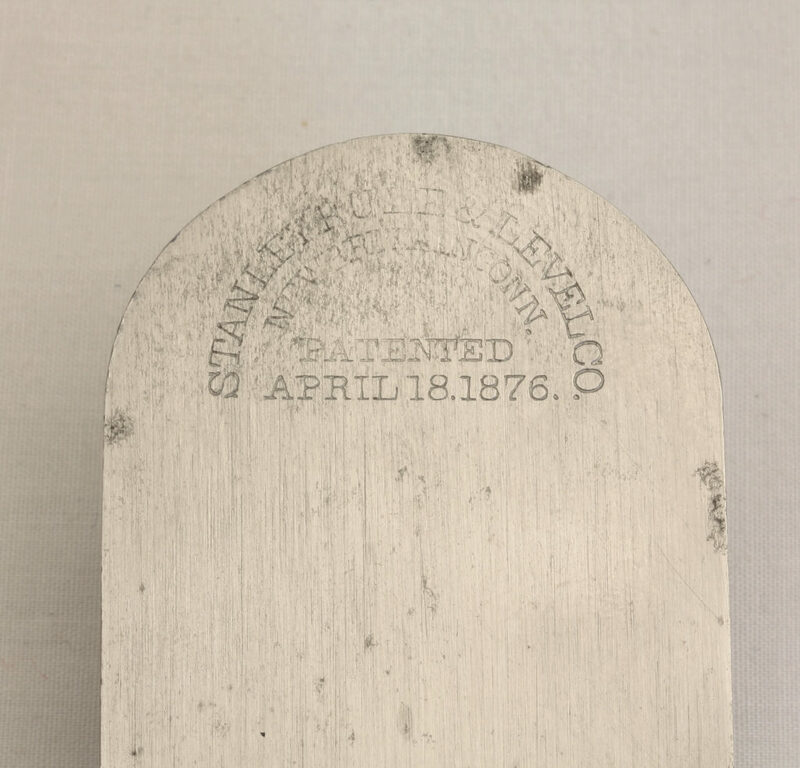 The rounded cutter has an early Stanley Rule & Level Company logo stamped on its upper end, along with the April 18, 1876 patent date (See Figure 12). 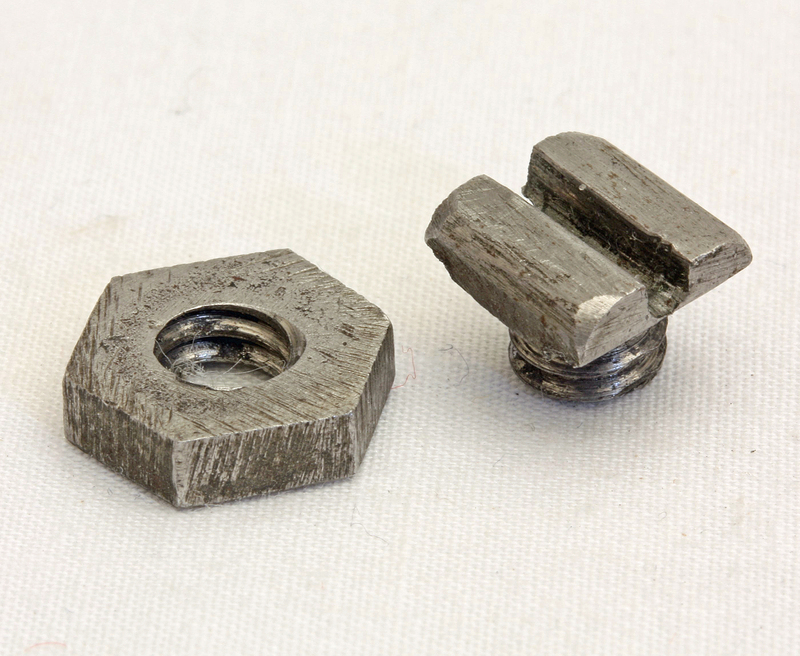 A machine screw with a wide slot cut in the head is held in place in the slotted cutter by a brass barrel nut. The wide slot in the head of the machine screw fits over the raised nib on the cutter adjustment mechanism in a similar fashion what was present on the prototype (See Figure 13, Figure 14, and Figure 15). 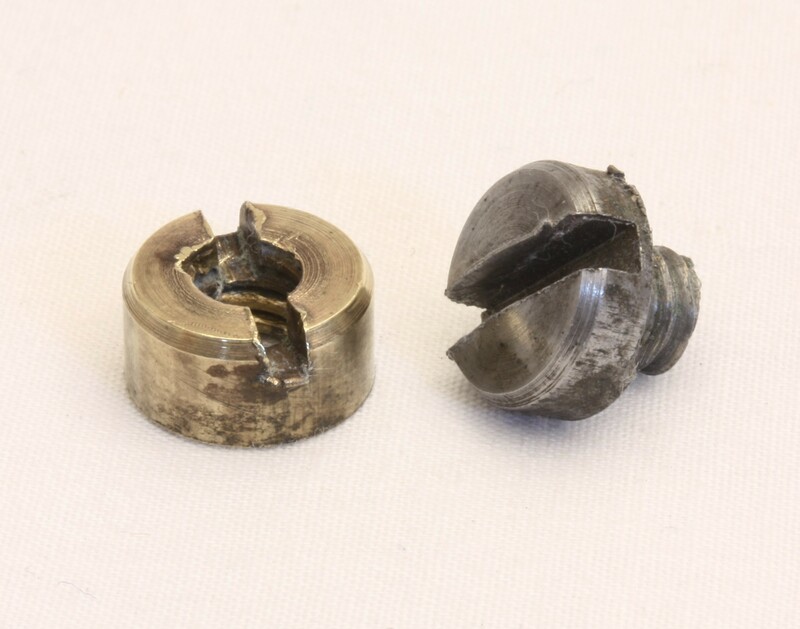 The modifications in the compound lever adjustment mechanism reduced the mechanical advantage of the cutter adjustment mechanism from 28:1 to 12:1 As a result, a ¼ inch movement of the adjusting lever resulted in a 2/100ths of an inch movement of the cutter at the mouth of the plane. While not as sensitive as the prototype, the production model’s adjustment mechanism was still adequately sensitive. 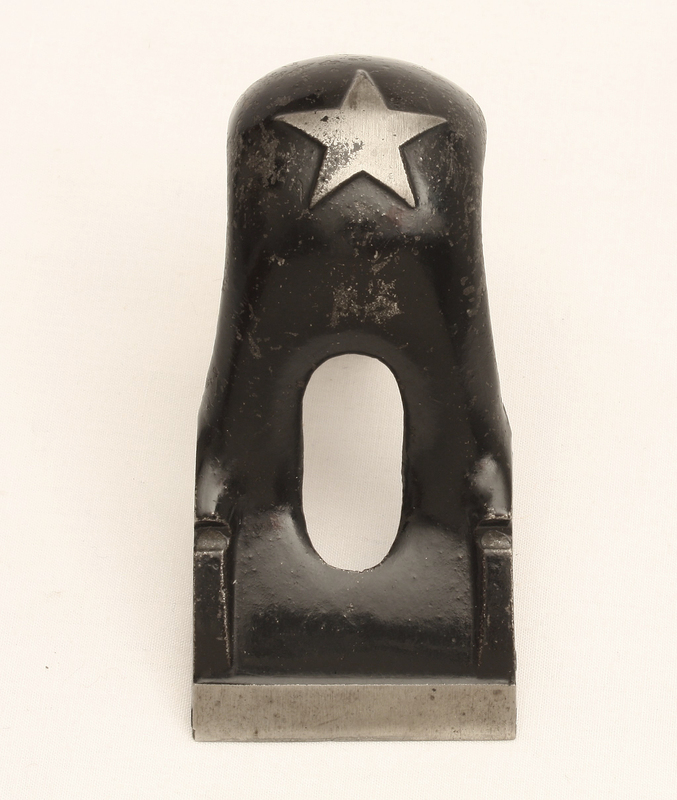 And finally, the rather fragile “shoe buckle” lever cap was abandoned in favor of a much easier to use side in lever cap with a cast iron adjusting screw bearing a five-pointed star in honor of the nation’s centennial which was being celebrated when the plane was released in 1876 (See Figure 16). Next time I’ll tell you about how this same cutter adjustment mechanism came to be used on the “Liberty Bell” series of bench planes. [i] Henry Francis Richards was one of the “mechanics” who worked in Traut’s shop at Stanley. He was born on September 13, 1824. He died in 1912 at the age of 88. Census records list him as a “mechanic” or “machinist”. His residence in New Britain was in walking distance from the Stanley factory. He was the co-patentee with Justus Traut on at least three other patents between 1875 and 1876. [ii] The adjustable Model Shop #110 block plane discussed in my last post carried two Model Shop numbers, #51 and #52. If this plane followed that one chronologically, one would assume that it would be labeled #53, or #54. But instead it’s got a four digit Model Shop number. As I’ve said before, the Model Shop numbering system is a mystery to me! 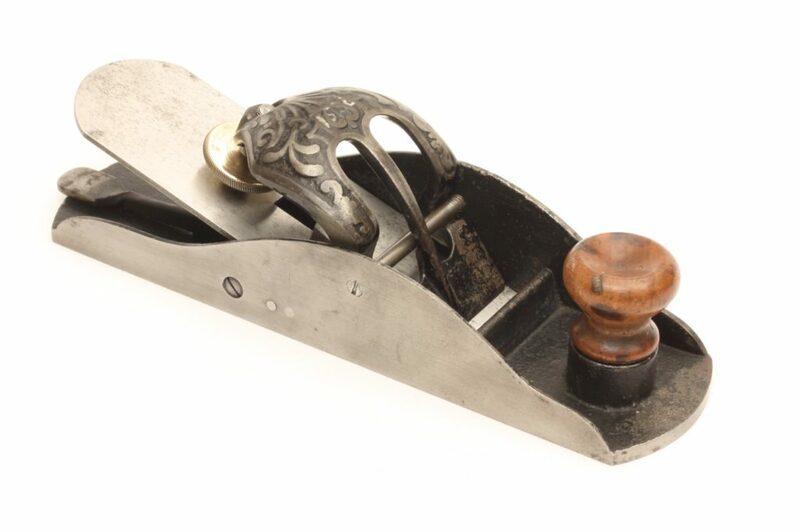 [iii] An excellent type study of the early Stanley #110 non-adjustable block planes by John G. Wells entitled, “Early Models of the Stanley #110 Block Plane 1874-1887”, can be found in Antique & Collectible Stanley Tools, by John Walter, pp. 750-756. [iv] Traut and Richards on June 28th 1876, just two months after receiving this patent applied for and were granted a reissue patent #7,565, for this same adjuster on March 20, 1877. Once a patent is issued, the patent holder(s) may request a “reissue” of the patent to correct mistakes in the issued patent or make additional claims regarding the patent. Traut and Richards initial patent claimed only the compound cutter adjustment mechanism. In the reissued patent, they also claimed the inclined brackets on which the cutter rested, the slotted cutter, and the fastening nut used with the slotted cutter. 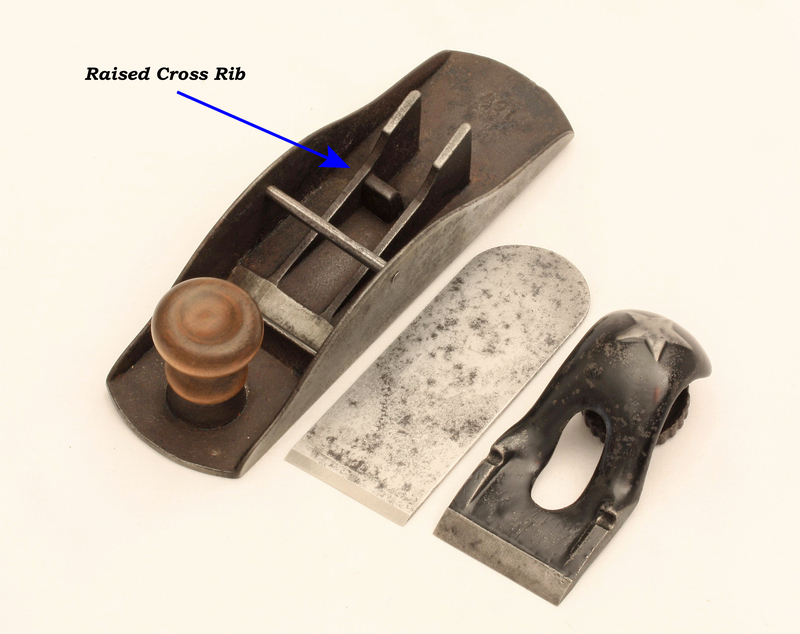 [v] This small raised cross rib was also cast into the Stanley #110 block planes of the same vintage. This allowed the same casting to be used for either the #110 or the #120 block plane. Please note the accompanying photo which shows a circa 1876 Stanley #110 block plane. With a few machining changes and the addition of the cutter adjusting mechanism this #110 block plane could have been easily converted to a #120 adjustable block plane. Thank you for the informative article . After retiring, I became interested in planes in general. I have tried to read all I can and seemed to a quote a few(around 50) with block planes contributing to approximately half of that number. I enjoy working with them and showing them off. What a great article and provenance! How often do we get a real glimpse into Mr. Traut’s original design iterations! Hardly ever. I have to ask, what other prototypes were found in that family box? Stay tuned! My next article will let you know about another one of Mr. Traut and Mr. Richards early works from the Stanley Model Shop. I’m pleased that you enjoyed the article. My updated 2018 liberty bell type study is now searchable on the web. Hosted by richmond antique tool society web site. Do a search on “stanley liberty bell plane type study”. Both the original and updated studies are there. I just took a look at your updated Type Study of the Liberty Bell Planes. Nicely done! It will be very helpful for all of us collectors. After 20 years of looking, i have acquired a #120, type 2 block plane. It completes my collection of liberty bell examples. What will I do with myself now? A very good question! But we all know there’s always more to be learned about Stanley tools. I’m sure you’ll figure out something very soon!